Imperia Sector 37C Gurgaon is a new affordable housing project that will make your life more convenient and luxurious. 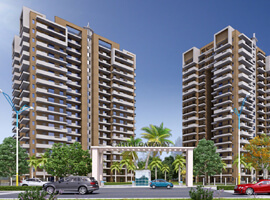 Moreover, this housing project is located in sector 37C, Gurgaon. Also, this affordable housing Gurgaon project will feature approximately 750 units. And, it will have different types of 1 and 2 BHK apartments under HUDA affordable housing policy. Moreover, the project will be sprawling on 5 acres of prime land on Main Pataudi Road. Actually, Imperia Affordable Housing sector 37c is an affordable housing project which comes with a range of amenities. In fact, the affordable residency will offer its residents a Clubhouse, an advanced security system. Also, there will be 24×7 Power and Water Supply with backup, a fire-fighting system, Jogging Track, play area for kids and much more. Indeed, the location of Imperia Affordable Housing Sector 37C will provide many benefits. In addition, the project is in close driving range of Dwarka Expressway and National Highway-8. Also, Imperia Affordable Housing Sector 37C is connected to other major routes as well. Additionally, there will be many conveniences around the project. Such as Hospitals, Entertainment Hubs, Schools, and Shopping Malls and much more. Finally, many major and prime spots will also be in close range of the project. And, there will be an upcoming Metro Station only 500 meters away from the project. Last, of all, the License name of Imperia Affordable Housing Gurgaon is Renuka Traders Pvt. Ltd. and the License date 13 Feb 2018. And, the License no. is 15 of 2018. Surrounded by fully occupie Residential Sectors 9, 10, 10A, 37c & 37D.